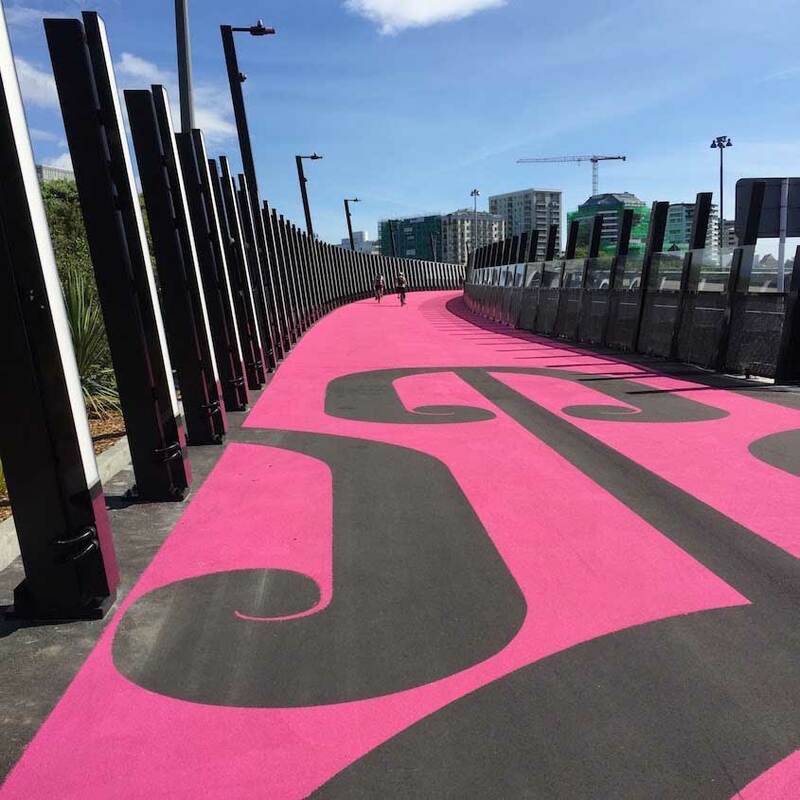 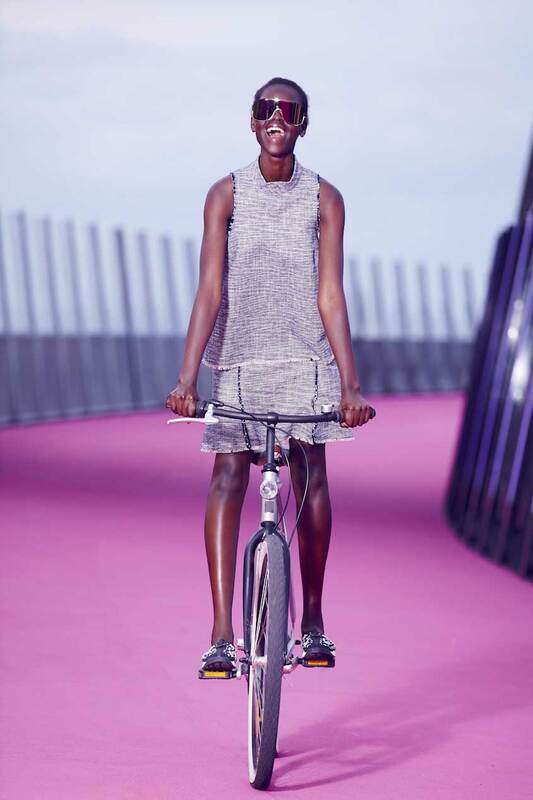 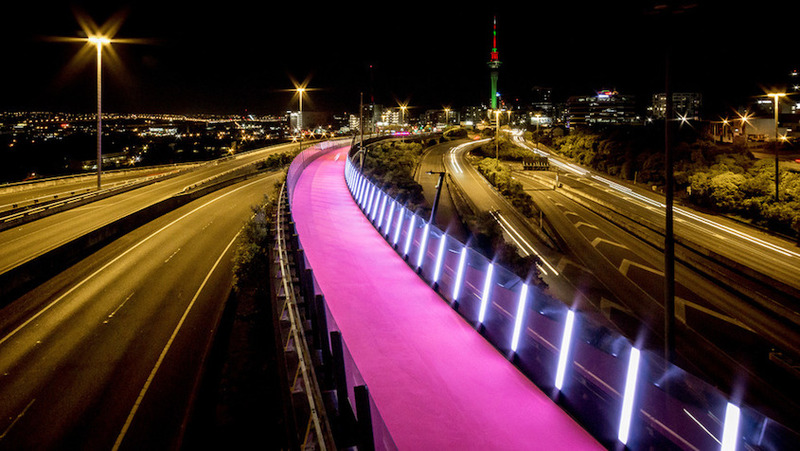 In early December of last year, the Nelson Street cycleway—or Te Ara I Whiti (The Lightpath)—was opened to Auckland, New Zealand cyclists and pedestrians. 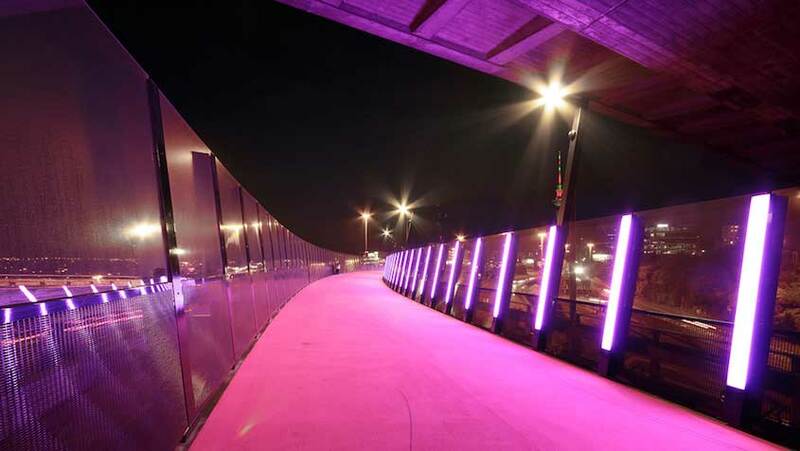 The magnificent magenta path, lined by pillars of dynamic and interactive LED light, has drawn attention from news outlets and social media aficionados alike. 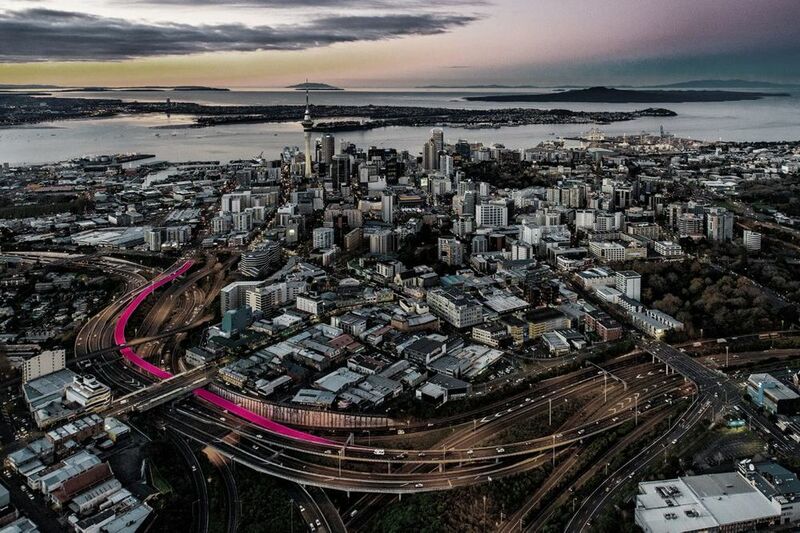 Search up “#lightpathakl” on Instagram, Twitter, or Facebook, and you will find a number of bright pink backdropped selfies alongside stunning views of the winding passage from higher viewpoints around the CBD. 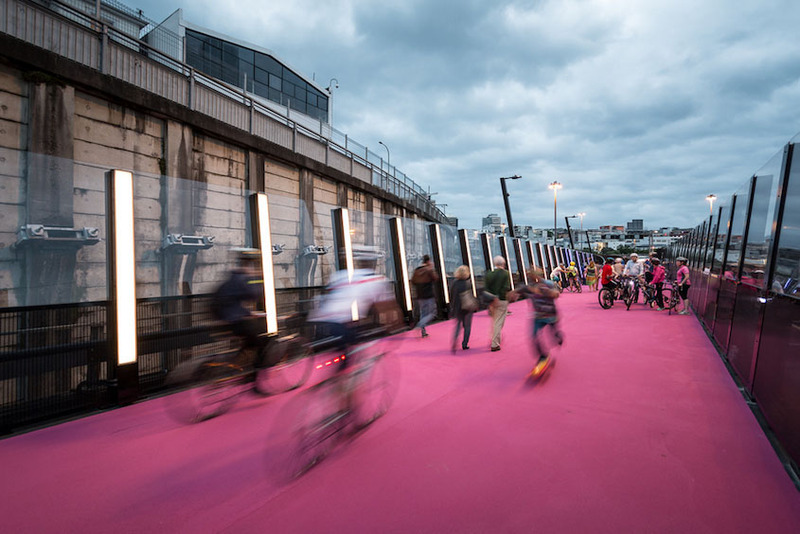 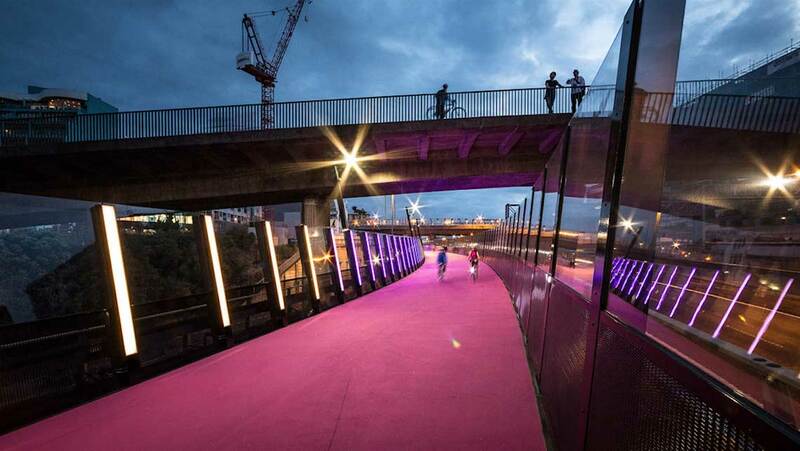 In the evening, the Lightpath is viewable from afar as an ethereal magenta glow amidst the surrounding concrete jungle.